From start-ups to scale-ups, businesses need effective marketing to thrive. They must have their stories heard, their mission recognized, and their brand identified. This means entrepreneurs must actively engage their prospects, which is feasible through event launches. That’s where our software for event management courses comes in. RainFocus is a planning platform that aims to innovate and streamline event management of courses and other gatherings. Our system is built around the attendee experience, and our strategy is designed to generate higher returns on investment (ROI). From preplanning to evaluation, event management of courses using our platform is guaranteed to produce superior results. Get access to our integrated event management of courses, and bring your events to greater heights! As an event planner, you have to run various aspects of a project simultaneously. These include ticketing, floor planning, registrations, schedulers, and surveys and analytics. With your juggling multiple tasks and dividing your attention, you may lose sight of your priorities. Fortunately, you can unify your strategies through our platform for event management of courses or other activities. Gone are the days of your rummaging through islands of data to find one piece of information. With our software for event management of courses, you can handle all your event reports, processes, and attendees, all in one place. Our program for event management of courses collects your relevant event information for your perusal. The data recorded by our system for event management of courses includes your experiential marketing efforts, trends, and results. Translated into actionable insights, these reports can help you identify and improve the weaknesses of your strategy to further improve your management. The success of an event is defined by your attendees’ level of engagement. Using our management solution, you can learn the progress of your event management of courses by studying your attendees’ participation. Our program for event management of courses provides a detailed overview of participants’ history with your portfolio and events. Because every event has its unique requirements, you need a fluid tool for event management of courses and other activities. The RainFocus software excels in this sector. Our system for event management of courses, training, and other gatherings offers the best in flexibility. For organizers, content, workflow, and other elements of event management of courses can easily be customized using our program’s drag-and-drop tool. Meanwhile, attendees can easily adjust the system’s portals to their preferences. This software for event management of courses also features a centralized home, which lets participants enjoy content after the event. With its extraordinary personalization options and automated intelligence, our system for event management of courses allows you to skip the simpler tasks. As a result, you can focus on the more complicated aspects of your events. Using our platform for event management of courses, you can easily create and schedule learning sessions. Planners can use our ready-to-use templates or create their own with the touch of a button. Our system for event management of courses lets you easily handle your materials. With the smart and smooth interface of our program, we guarantee hassle-free coordination of your resources. In every enterprise, communication is vital. 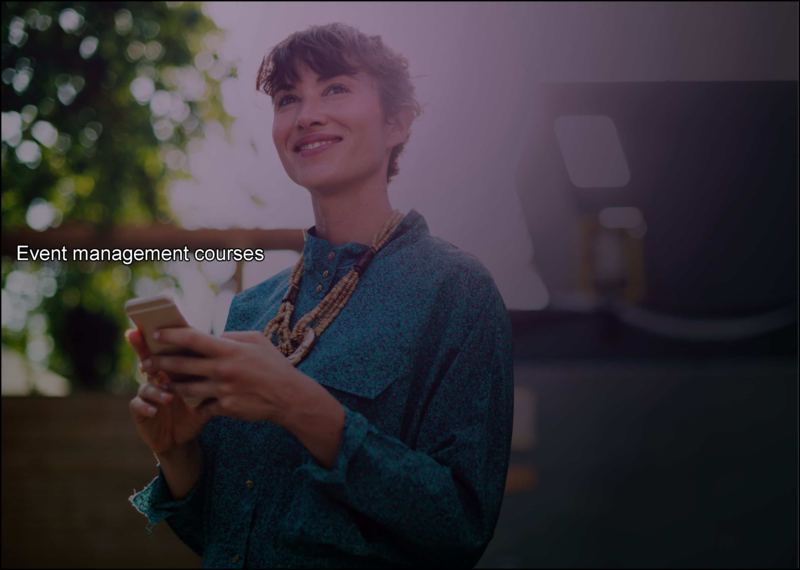 Our solution for event management of courses streamlines the process of connecting with your participants. You can easily share your RainFocus content via email campaigns. You may also directly relay it to your sales and events teams. Looking for ways to simplify event planning? Streamline event management of courses, training, and other activities at RainFocus! Request a demo today. To learn more about our platform for event management of courses, contact us or visit our website. Better Insights: We do not just stop at simply gathering data from those events; we create actionable insights out of it. Our platform can stay connected with every development and opportunity from all your gatherings. Better Experiences: Every event presents a lot of challenges. You can customize our platform for the specific needs of your events. Using our user-friendly drag-and-drop feature, you can personalize the platform for registration, content, and exhibitor workflow. Better Marketing: Our platform can help you drive higher engagement from your attendees. You can use our platform to provide personalized content and recommend activities to your attendees. Are you planning to set up an event? RainFocus offers a platform that you can utilize to make the most out of your event. Feel free to call or email us to schedule a demo. You may also visit our website to learn more about our company and our event management courses.